Twenty students from Fulford Preparatory College participated in the annual Waterloo Math Competition and the results are in! Grade 11 student from China, Allen Wu, scored in the top 11% of over 5,600 students in the Canadian Senior Mathematics Contest. 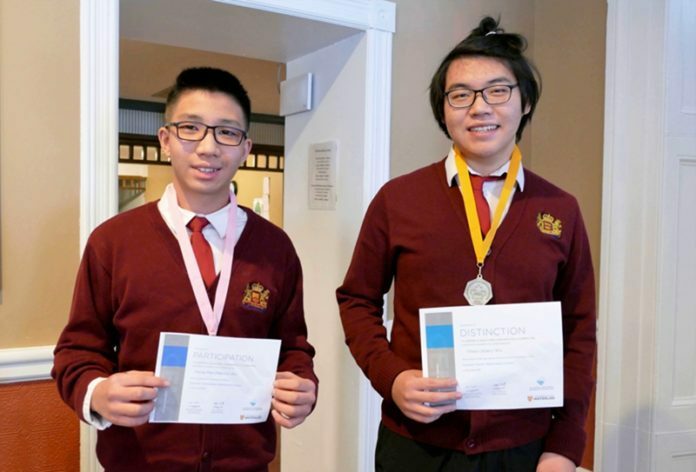 Additionally, grade 10 student from Taiwan, Marvin Wu, scored in the top 23% of all participants in the Canadian Intermediate Mathematics Contest. The Centre for Education in Mathematics and Computing at Waterloo University has developed and annually administers a variety of competitions designed to encourage and develop lifelong learners of math. Participation is voluntary, but the results are given important consideration on applications to universities in North America. Fulford Preparatory College students are regularly recognized for their outstanding performances in these math contests.